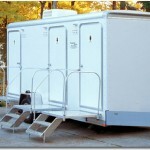 The Deluxe is a great addition to our fleet. 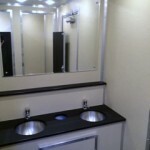 It is perfect for high volume events or long term commercial rentals. 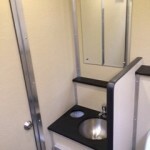 The trailer features four stalls with two sinks on the ladies side. 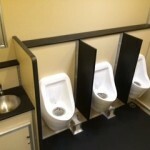 It has one stall, three urinals and one sink on the men’s side.